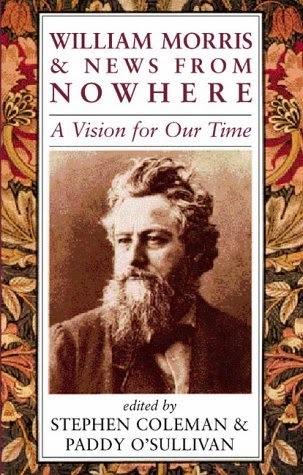 As 1990 is the centenary year of the publication of the utopian novel News From Nowhere, this book is a timely assessment of one of William Morris’s most inspiring works. Nine writers have contributed chapters on topics as diverse as architecture, socialism, love, and ecology, each demonstrating how much William Morris had to offer a world that was, to him, getting drabber and more divided as the capitalist system subordinated everything of worth to the dictates of profit. 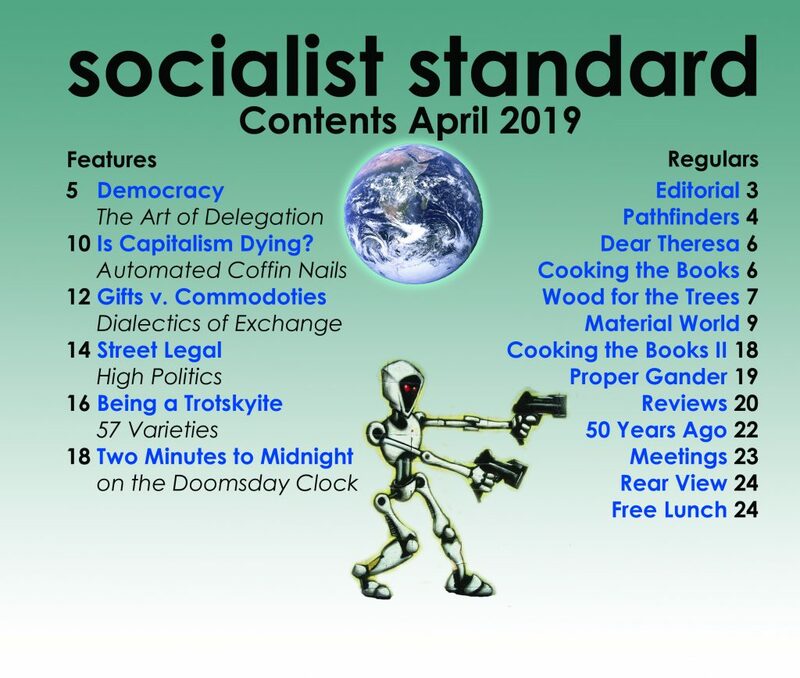 In providing a vision of a socialist society of common ownership and democratic control without class division, money or the state, News From Nowhere is without doubt a literary milestone as far as the socialist movement is concerned, but the conception of socialist revolution outlined in it by Morris is not without its faults, emphasising as it does the role of insurrection and civil war. John Crump, in Chapter Two, makes much of the fact that the socialist revolution described by Morris involved the use of organisations akin to “workers’ councils”, set up so that the “irrelevant” Parliament could be by-passed. However, it is also worth mentioning that this is a view which later in his life Morris rejected in favour of capturing control of political power and the state machine through Parliament. In truth, Morris had a tendency to simply associate Parliament with reformism and was wary that activity geared towards Parliament could lead a genuine socialist party off course. Ray Watkinson develops this theme further in Chapter Four, arguing that Morris saw creative work, liberated from the confines of the wages system, as an essential feature of “living society”. 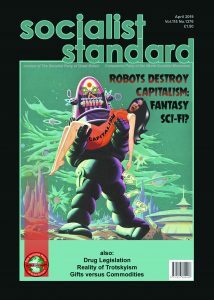 He persuasively argues against the idea that Morris was completely opposed to the use of machinery, stating that “what Morris is against is not the machines, but the alienation, that under capitalism, they produce.” In socialism, humans were no longer to be appendages of machines, but machines were to be subordinated to the real needs of labour. This comment would suggest that this particular author’s commitment to a truly socialist society is rather token. After all, the choice between a system of common ownership and peace on the one hand and a competitive war-oriented society with a few women generals on the other is hardly a difficult one for those with a real commitment to equality. The next two chapters, written by Colin Ward and Mark Pearson, discuss Morris’s vision of housing, design and architecture—the “mother of the arts”—while Chapter Eight reverts to discussing the specific type of socialist society envisaged in News From Nowhere, this time from the standpoint of how the inhabitants of this society organised to satisfy their needs. In this chapter, Adam Buick argues that implicit in News From Nowhere is the idea of common ownership rather than government ownership. For in the society of News From Nowhere there is no state machine with its police and prisons and consequently no government to oversee its affairs. And, of course, along with common ownership goes direct democratic decision-making without recourse to government or leaders, free access to wealth without monetary payment, and voluntary co-operative work free from the coercion and exploitation of the wages system. In a particularly important section of this chapter Buick considers whether such an economic arrangement is feasible, concluding that contrary to the myths propagated by economists, human needs are not limitless and that a potential abundance of wealth exists in the world with which to satisfy those needs. The final chapter by Paddy O’Sullivan deals with Morris’s vision from an ecological perspective, arguing that his commitment to ecology was more than just an aesthetic reaction to the disfiguration of the environment, but involved a consideration of how the implementation of his political ideas would affect nature. This chapter, however, is a little disappointing as O’Sullivan confuses what some environmentalists term “surplus production” (the socially useless production of cheap “throw-way” commodities) with the Marxian concept of surplus value (the unpaid labour of the working class) and this tends to cloud the analysis of the chapter. William Morris And News From Nowhere: A Vision For Our Time is an interesting and important book which contains arguments which can inspire new generations of workers to look beyond the confines of the profit system, a hundred years after Morris’s original work did the same.